The brand of oil we use on our blades. The main step in blade care is to clean it after you use it! Wash by hand and then dry. Don't worry if your blade begins to develop a patina (dark spots) - as long as it isn't rust, of course. That patina is actually the metal developing a protective layer! Remember that old black knife Grandpa used all the time? Or the ancient katana you saw in a museum? Those blades have grown a protective layer that can even prevent them from rusting! If you plan to store or display the blade for a while, the blade portion should be oiled with a lightweight mineral oil. (We recommend sewing machine oil but Vaseline will also work. Don't use any type of gun oil unless you are sure it is 100% mineral oil. Don't use any vegetable oil.) Be sure it is a light coating so that it does not become sticky. For all long-term storage, the blade should be removed from the sheath. A leather or wooden sheath will absorb moisture from the air and can rust the blade if it is stored in the sheath. When the blade has not been used in a while, wipe down the blade before cutting food or applying fresh oil. This will remove any old oil and dirt that has collected in it. If you used 100% mineral oil then your knife will still be safe to use with food. If you used any other type of oil, wash and dry the blade before using with food. If the blade should rust or become scratched, spray the blade with WD-40 and sand the marks away with a 400 grit or higher wet/dry sandpaper. The more polished your finish, the higher the grit will need to be. If you had a mirror finish blade, you won't be able to completely restore it without specialty equipment. Caring for your leather sheath is similar to caring for your blade, not much effort is needed but over time leather will dry and crack if simply left alone. Treat it with the same care you would fine leather shoes or your leather car seats. If you have carried your sheath outdoors, use a leather cleaner (like saddle soap) before conditioning to remove and dirt. Leather conditioner should be applied using a rag and buffed into the sheath. You can use a piece of burlap to polish the leather, if desired. Most any leather conditioner will work but some may darken the leather or leave a heavier coating. If you plan to use your sheath for working, look for a conditioner for boots (such as mink oil) or saddles and tack (such as neatsfoot oil). If your sheath is highly decorative consider a conditioner for leather car seats or clothing. Clean and polish the metal fittings the same as you would fine jewelry. Brass cleaner or a simple paste of baking soda and water will work. Be sure to thoroughly dry your blade afterwards! Some of our handles have been given a protective coating (exact type will vary with handle materials) but some have been left uncoated and natural. Additional coatings of Teak Oil or Danish Wood Oil can be applied to wood, bone, or antler handles once every couple of months. 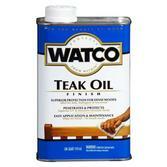 Either oil may be purchased at most paint stores, including Wal-Mart. Both oils work well but will darken the handle color some. If you use your knife a lot the natural oils in your hands will transfer to the handle and provide a conditioning treatment. The sharpening stone we prefer. All of our pieces are made with high carbon steel and are tempered according to the blade's intended use. A diamond stone is recommended for sharpening any of our blades. 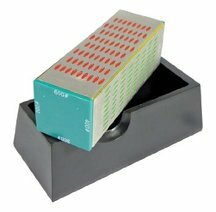 (We like the 4-side honing block because it is inexpensive and has 4 grits.) Black Arkansas or other sharpening stones will typically only polish the existing edge (which is great for finishing but doesn't do much for sharpening!) Machine grinding systems can change the geometry of your edge in less than a second and once that happens you have a damaged knife that needs repair! For the same reason, we suggest you steer clear of "professional knife sharpeners." I only recommend hand sharpening! It is the method I use both personally and professionally. That really depends on how you use it! When you feel that it isn't cutting as smoothly as it was, polish the edge on a black Arkansas or ceramic honing block. If it needs more work, it's time to go to the sharpening stone. As an example, my personal kitchen knives get polished once a month (about 10 seconds of work per edge) and a light sharpening (less than 2 minutes) every 3-6 months. How do I learn to sharpen a knife? Instructions coming soon! For now, ask about it when you buy your blade and we'll be happy to give you a lesson! Or, if you must have information right now, check out the fabulous book An Edge in the Kitchen.